Alderman Apartments offer exclusive 1 and 2 bedroom serviced apartments conveniently located throughout the city of Bristol. Some, located within a gentle stroll of the city centre and Temple Meads train station, others by Whiteladies Road, are ideal for the University and the BBC. Our apartments in Bradley Stoke, are perfect for Aztec West, Filton and Abbey Wood. Our apartments are a cost effective alternative for business and leisure travelers to expensive Bristol Hotels, with everything you might need away from home. You can rent by day, week or month. The longer you stay the better value you get. All apartments are fully furnished and equipped to the highest standards. Facilities include linen and towels, cable/ satellite TV, Broadband, DVD and CD player, washer/dryer, microwave, cutlery/ crockery and so on. Just bring your suitcase and move in! Some, located within a gentle stroll of the city centre and Temple Meads train station, others by Whiteladies Road, are ideal for the University and the BBC, our apartments in Bradley Stoke, are perfect for Aztec West, Filton and Abbey Wood. 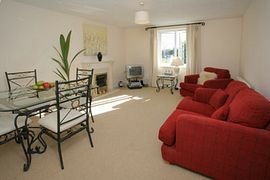 2 Bedroom Apartment: From £85.00 to £128.00 per unit per night. 1 Bedroom Apartment: From £75.00 to £98.00 per unit per night. 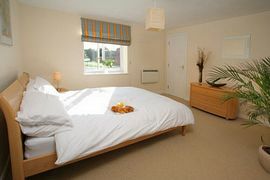 Studio Apartment: From £73.00 to £83.00 per unit per night.